This is Day 5 in a series. You might want to start at the introduction. Alright, let's end this week on a strong note. 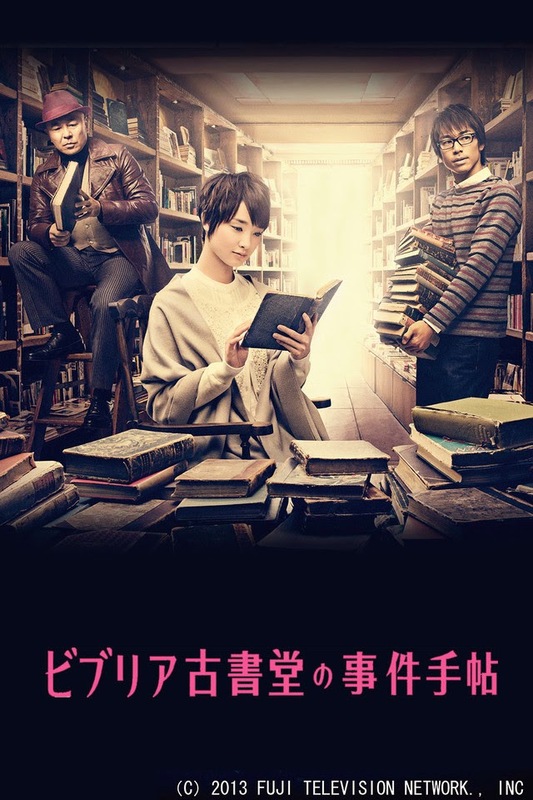 The first J-drama that I watched knowing that I would like it was Antiquarian Bookshop Biblia's Case Files (gosh that's a long name...). By the time that it was added to Crunchyroll's catalog, I had become pretty familiar with how J-dramas worked, and what type of show I wanted to watch. I saw the description for Antiquarian Bookshop Biblia, and I was immediately hooked. I knew that this was the one. 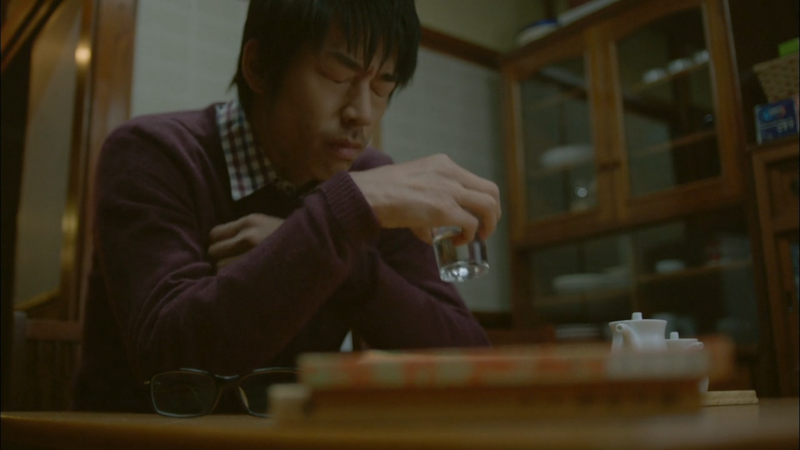 It would probably be my favourite of all the J-dramas covered this week if it wasn't for how open the ending is, as well as the incredible strength of the Galileo movies. It still could be my favourite, if a second season is ever made. The show has one of the oddest premises that I've ever seen. Not odd as in crazy, but odd as in unexpected. Goura Daisuki is a man who is unable to read books. He's not illiterate; he just can't read books because they make him sick when he tries. One day, when trying to sell some of his grandma's old books, he goes to an antiquarian bookshop to get them appraised. The owner, Shinokawa Shioriko, notices something strange about one of the books: it was supposedly signed by the author, but the signature is inconsistent with standard practice. As they investigate why this happened, secrets are revealed, and the mystery is eventually solved. Daisuki decides that he enjoys spending time at the shop, even if he can't read, and starts helping out there. As the series progresses, more books arrive with more mysteries to be solved. It's not very often that a mystery show revolves around something other than murder these days. I'd hesitate to call CSI a mystery show, though I suppose it is, but even things like Ms. Marple revolve around murder almost exclusively. The protagonist is often in danger themselves, which adds weight to the mystery. However, that's not actually my favourite type of mystery, as it turns out. I really, really love what I call "low stakes mysteries," like Antiquarian Bookshop Bibla or the anime Hyouka. To be perfectly honest, I can't really think of any other shows like them. They're mystery shows, but danger is low or nonexistent. Most of the time, the only thing riding on whether or not the mystery is solved is the truth. Knowledge is the goal, not a conviction in court. Forget murder, these low stakes mysteries don't even revolve around crimes all the time. The show is adapted from, fittingly enough, a series of books. Apparently there are three books in the series, published from 2011 to 2012, while the J-drama was released in 2013. Unfortunately, this probably means that no more of the story is going to be written ever, which would make me very sad. It's one thing if the adaption never finishes, but if the source material is left unresolved it's a tragedy. There are apparently a manga adaption or two as well, but details on them are few and far between. It's a quiet little series, which fits its tone perfectly. Daisuki is played by Akira from the band Exile, which means this is the second show this week with him as the lead (after GTO). I was actually really impressed with him. I watched this after GTO, so I was used to seeing him as a free spirited ex-gang member. Daisuki is the complete opposite: quiet, reserved, and shy. Pretty much the only thing the two characters have in common is their desire to help people out. Shioriko is played by Gouriki Ayame, who does a good job making her seem frail yet strong willed. Both of the leads are really quiet people, which makes for an interesting dynamic. Actually, one of the nicest touches this show had was reintroducing a side character as a recurring one: one of the characters from a mystery they solved starts hanging out at the bookshop, which made me quite happy. This being a mystery show though, I do have a complaint that never seems to go away: the characters all suffer from "don't call the police" syndrome. Most of the time it's so low stakes that it's not a problem, but a couple of times they really should have called in the authorities rather than handle it themselves. Oh well. I guess it's more interesting this way. Man, I would hate not being able to read books. The gimmick of this show is books. Shioriko loves books with all her heart and spends all her free time reading (like Ritsu from Bokura wa Minna Kawaisou), so she knows quite a bit of trivia about them. Plus, she appraises them for a living, which I'm sure helps. Each episode features a different book as part of the mystery that needs to be solved. Sometimes the book is the source of the mystery, and sometimes it is the solution. Either way, background information about a book's publication history or author's life is always essential. During the credits for each episode information is given given on the side of the screen about the book, either summarizing the book's story or giving an anecdote about it. I learned quite a bit about several books and authors by watching. For instance, one of the episodes features A Clockwork Orange, which apparently has quite the interesting publication history. I was kind of surprised that non-Japanese books were featured too, but Burgess' book wasn't the only one. My favourite short story was as well: The Dandelion Girl by Robert F. Young. It's a beautiful story, and I'd highly recommend checking it out (it'll take you less than an hour to read, probably). But most of the featured books were by Japanese authors, so I am now somewhat familiar with some of the greats, like Natsume Souseki. I can at least recognize his name. Visually, the show isn't anything too special. The show has a stylized opening they show most episodes, with the characters surrounded by white with papers fluttering around them, or being drawn on paper themselves. It changes slightly for each episode as well (i.e. the clock usually shown is suddenly an orange when featuring A Clockwork Orange). During the credits while the featured book is being summarized, drawings appear on screen to complement the summary, which is a nice touch. On the audio side, the music is catchy electronic stuff, which kind of clashes with the show's aesthetic. I enjoyed listening to the music, but I felt that it just didn't match the calm feeling that the show gave off. I truly enjoyed this show. It's smart, charming, and right up my alley. The only thing that could make it better is to have more of it. Please make more of it, ok? Oh, and while you're at it, make more Hyouka too. The world needs more of them both. The entire series is available for free legal streaming from Crunchyroll in North America. It's also available pretty much worldwide except for Asia (same as most, apparently). Well, this has been quite the week. I really love doing these Spring Break series, even if it's really draining. I mean, going from 1 post every 3 months to 6 posts in 6 days is crazy. But, it's also really rewarding. It just goes to show me that I can do something all the way from start to finish if I try. Now I just need to take this drive and apply it to the other posts that I'm being lazy about writing. And it wouldn't hurt to have some of it in the rest of my life too. Thanks for reading. I'll be back with another article soon. Nice blog and thank you so much for share your good piece of content with us.